the guide was on time and knowledgeable. good selection of places to visit, except the marketplace visit was a bit too short. 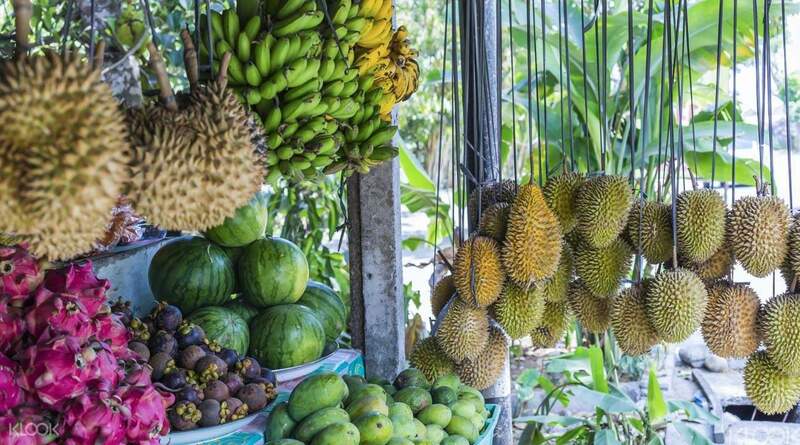 should include some stops to try local snacks. driver was also friendly. can include a visit to a Chinese temple.overall the experience was very good. 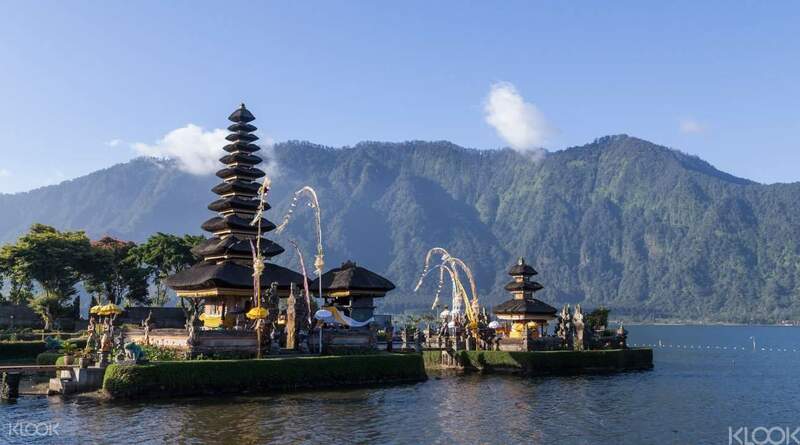 Travel into the heart of the western regions of central Bali where the temples, markets and rice fields play a vital role in Balinese life. 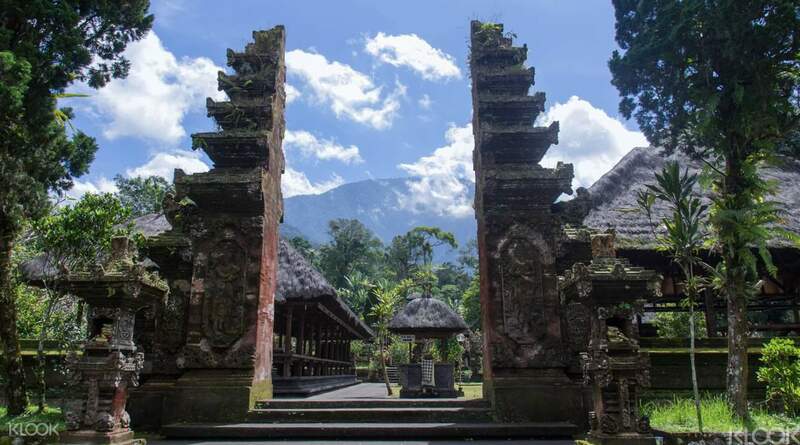 Discover the wide variety of local goods being traded at the local market at Tabanan regency and the ancient 11th century Pura Luhur Batukaru temple, a majestic construction in the middle of a lush forest. 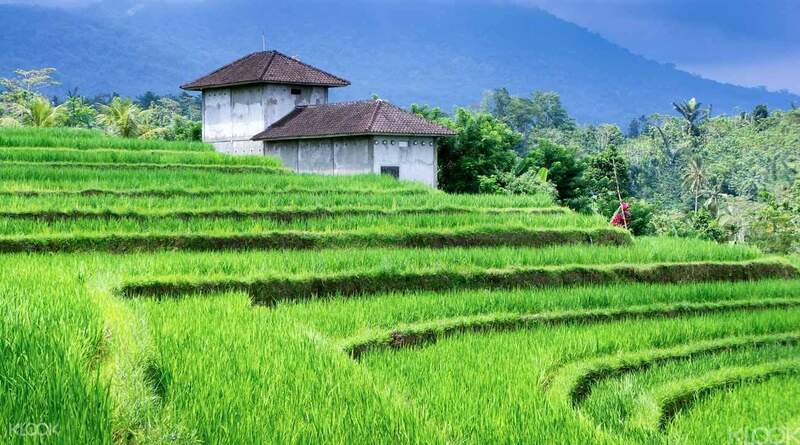 A must-see when in Bali: take in the scenery of the Jatiluwih rice terraces, a UNESCO World Heritage site before heading to a natural volcanic hot spring, Angseri, said to cleanse and heal all your ailments. Don't forget your swimwear if you fancy a dip in the hot springs! Punctual pickup at our hotel at Seminyak. With the very powerful and spacious Toyota Innova we enjoyed the trip from the beginning to the end. Visited temples, hot spring waters, Jatiluwih rice terraces, coffee plantation and having good foods at Danao Beratan. Our guide Mr. Ketut was very polite and patient in explaining to us about the places we visited. He helped us to take photos as well. It was raining the whole day during our trip, overall was a very good experience. Punctual pickup at our hotel at Seminyak. With the very powerful and spacious Toyota Innova we enjoyed the trip from the beginning to the end. Visited temples, hot spring waters, Jatiluwih rice terraces, coffee plantation and having good foods at Danao Beratan. Our guide Mr. Ketut was very polite and patient in explaining to us about the places we visited. He helped us to take photos as well. It was raining the whole day during our trip, overall was a very good experience. Another awesome experience booking from klook. We enjoyed our tour from the temples and the rice fields, including our sumptuous lunch. I loved the picturesque views, and the tour guide was very energetic. Another awesome experience booking from klook. We enjoyed our tour from the temples and the rice fields, including our sumptuous lunch. I loved the picturesque views, and the tour guide was very energetic. Very nice! They picked us up on time (although I think 8pm is pretty early, since by 2.30 we were done! ), the temples were very quite (pretty much no one there besides us). I would probably do it again! Very nice! They picked us up on time (although I think 8pm is pretty early, since by 2.30 we were done! ), the temples were very quite (pretty much no one there besides us). I would probably do it again! Our guide Mr. Sadi was very polite and patient in explaining to us about the places we visited. He also assisted us in taking photos. The driver drove safely and was very respectful as well. We were actually expecting a SUV but a limousine van was provided for us with a free child car seat, to our delight. The itinerary was adjusted a little to make sure that we efficiently make use if time and be able to visit the places lined up. We had a great time and I recommend this trip to families! Our guide Mr. Sadi was very polite and patient in explaining to us about the places we visited. He also assisted us in taking photos. The driver drove safely and was very respectful as well. We were actually expecting a SUV but a limousine van was provided for us with a free child car seat, to our delight. The itinerary was adjusted a little to make sure that we efficiently make use if time and be able to visit the places lined up. We had a great time and I recommend this trip to families! Great experience. Visited the local markets, not something you will see everyday. Nice tour gide. had a lot of knowledge about Bali. Great experience. Visited the local markets, not something you will see everyday. Nice tour gide. had a lot of knowledge about Bali. Great tour guide with vast knowledge about the island, on time and offer great extent of flexibility. Often offer help to take great picture for us and tell us the history about the places that we have visited. Certainly enjoy our time during this tour, highly recommended. Great tour guide with vast knowledge about the island, on time and offer great extent of flexibility. Often offer help to take great picture for us and tell us the history about the places that we have visited. Certainly enjoy our time during this tour, highly recommended. As this is a private tour, the iteniary is quite flexible depending on our preference. The lunch is so-so. The view is quite good from the lunch place on the volcano. The pedi field has the flying fox and big swing which is quite nice. The coffee plantation is not really interesting and price is not cheap for the products sold there. The waterfall is crowded due to public holiday in Bali. The Balinese show is not so fantastic. Batik factory is ok. As this is a private tour, the iteniary is quite flexible depending on our preference. The lunch is so-so. The view is quite good from the lunch place on the volcano. The pedi field has the flying fox and big swing which is quite nice. The coffee plantation is not really interesting and price is not cheap for the products sold there. The waterfall is crowded due to public holiday in Bali. The Balinese show is not so fantastic. Batik factory is ok. It was fun and it meet our expectation, My high regards to one tour guide from AsiaWorld travel Mr. Norman, we learn a lot from him especially about the customs and tradition of Balinese, our Driver Mr. Nyoman, drives us safely and detour to the shortcut due to heavy traffic and brings us back to the hotel ahead of schedule and on safe mode. Thanks a lot and will surely recommend it to our friends. It was fun and it meet our expectation, My high regards to one tour guide from AsiaWorld travel Mr. Norman, we learn a lot from him especially about the customs and tradition of Balinese, our Driver Mr. Nyoman, drives us safely and detour to the shortcut due to heavy traffic and brings us back to the hotel ahead of schedule and on safe mode. Thanks a lot and will surely recommend it to our friends. The hot spring and the local market were not much to see, there was nothing and we spent no more than 5 minutes looking around at each location. The 2 local temples and the rice fields trek were absolutely beautiful. The guide and driver were nice and punctual. Overall a good experience, but you can request to skip the hot spring and the market so you don’t waste time. The hot spring and the local market were not much to see, there was nothing and we spent no more than 5 minutes looking around at each location. The 2 local temples and the rice fields trek were absolutely beautiful. The guide and driver were nice and punctual. Overall a good experience, but you can request to skip the hot spring and the market so you don’t waste time.